Fantasy Live allows each team to try and predict the driver who will win the pole each week. You do not have to make a pick, but if you do and you are correct; your fantasy team will earn 5 bonus points. Just keep in mind that the Bonus Picks do not carry over from week-to-week. You must return to your team each week and make a selection in order to be eligible for the Bonus Points. My pick for the pole is Ryan Blaney. He has been very good at starting up front at Kansas. 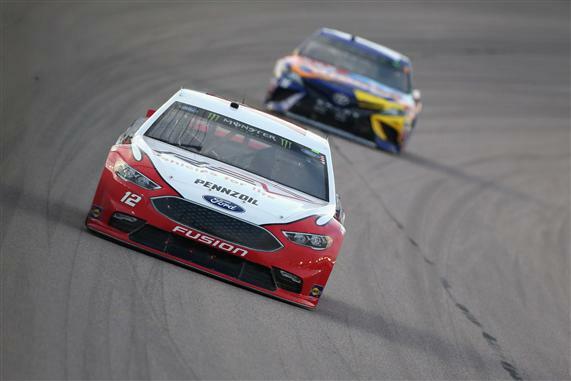 Blaney qualified 2nd for the May race at Kansas and won the pole at the track last year. Blaney is in a must win situation this week. The best way to start off his week is to score the pole and the No. 1 pit stall. He had the fastest car in the first practice Friday. Be sure to check back Saturday evening to see my picks for my Starting Lineup, Garage Driver, Stage 1 Winner, Stage 2 Winner, Race Winner and Winning Manufacturer.